I know that this idea of “God uses imperfect people” isn’t anything new. But there is part of me that always assumes that I’m the “imperfect person” part but there is someone else who actually does the “perfectly completes His plans” part. We wonder how God could use us in our brokenness, but as I prepared for a recent talk I discovered more examples in Scripture than I could even wrap my mind around. From Adam to the disciples, there is a beautiful story of God’s sovereignty woven into their imperfect lives. But when we look at Scripture we see that they are all remembered in Hebrews 11 for their faithfulness. They were called, they obeyed, they conquered kingdoms, administered justice, obtained promises, shut the mouths of lions, quenched the raging fire, escaped the edge of the sword, gained strength after being weak – but it never says they did it perfectly. What they did was believe God and choose to act in faith and obedience. They were human and had flaws and yet God used them – right where they were – and He made all things work together. We know all things work together for the good of those who love God: those who are called according to His purpose. For those He foreknew He also predestined to be conformed to the image of His Son so that He would be the firstborn among many brothers. And those He predestined, He also called; and those He called, He also justified; and those He justified, He also glorified. Let that sink in for a minute. Paul isn’t telling us that we were chosen by God because we are perfect on earth and now qualified to work for the Kingdom. 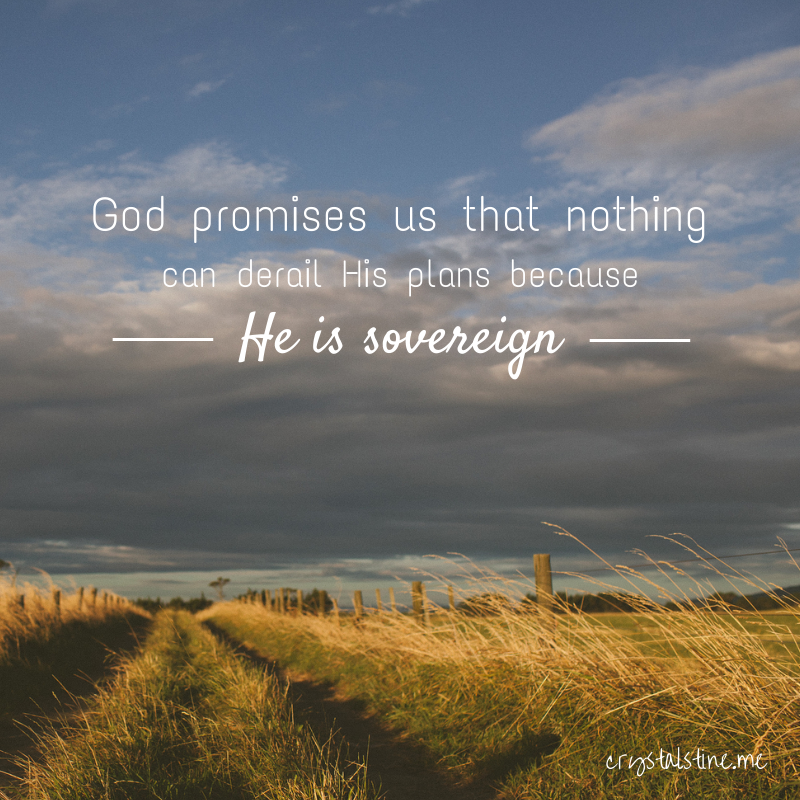 He’s not telling us that every circumstance in our lives will be perfect or even good – what God promises us is that nothing can derail His plans because He is sovereign. He is faithful. And when we put our trust in Him, He will work all things out for good – not because He knows we can do it, but because He knows we can’t, and yet He chose us and called us and has a purpose for us. Isn’t it just like God to look at us and not see weakness or brokenness but spaces in our hearts and lives where He can shine through brightly? Yes, this one. So good. …”but it never says they did it perfectly” – Still trying to remind myself of that very thing each and every day.